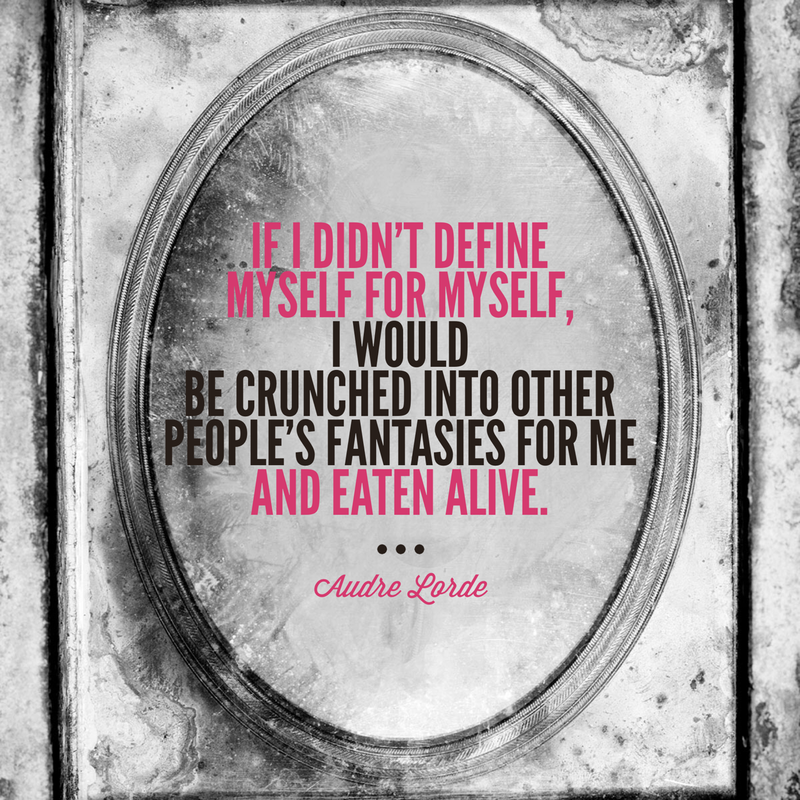 I came across the above quote from activist and poet Audre Lorde and felt inspired to write on the theme of self care for the month of June. Interestingly, when I searched Pinterest for the quote, hoping to find it in some already-memed form that I could instantly share, I found a lot of people had chopped off the last phrase about political warfare. Why? Only in the last year or so have I become keenly aware of the importance of this truth. I am writing on self care this month not as someone who’s got it figured out – far from it. I am writing as someone who feels the urgency of figuring it out, or at least finding my way there. My first thought, my initial intuition, is that a key ingredient to self care is self-acceptance. Self-acceptance is not self-esteem. It seems to me that self-esteem is an ability to see oneself as good, smart, lovable, powerful, beautiful. Self-acceptance is at once easier and harder than all of that. Easier because it means it’s okay for you to be broken or falling-apart or lost or needy or still figuring it all out. Harder because, well, it’s hard to sit with all of that without judgment. I have had to read that piece over and over again in the last several months. I never seem to stop needing to relearn this time and again: this is a process. I can’t rush it. I can’t just close my eyes, recite “I accept myself as I am,” and open my eyes a new woman. Instantly enlightened. This might take all day. It will probably take the rest of my life, if I’m doing it right. The chasm I am currently trying to cross is to accept myself as autistic. Frankly, I thought this would be easy. I thought I was going to leap that one in a single bound, because I was so relieved to have the answers that autism provided to the confusing questions of my life, because I certainly accept other autistic people as worthy and valuable just as they are. But it’s not so straightforward. It’s in the details of life that I get tripped up. Instead of accepting that some things are more energy-draining for me than other people, somewhere in the back of my mind I tell myself, I’m just being lazy. Instead of accepting that my social desires often outstrip my abilities, I tell myself, I’m just being antisocial. Instead of accepting that sensory breaks are real needs, I tell myself, I’m just being weak and pathetic. Instead of accepting that inadequate self-knowledge and attending support have probably held me back from the kind of success I’ve wanted in life, I tell myself, I just haven’t tried hard enough. Those are horrible things I would never say to anyone else, but I feel comfortable saying them to myself! But I have to keep laying down the planks and building my bridge. When we don’t accept ourselves, we punish ourselves in all sorts of tiny ways. Self-deprivation is a big one. It’s an easy one, because often it requires zero effort. We simply don’t take care of ourselves, and that suffices to punish us for not being good enough in whatever ways we feel we are inadequate. Everyone has their own chasms to cross when it comes to self-acceptance and self care. Neurological differences, disabilities, mental illness, chronic physical illness, body image issues, past or current abusive situations, financial poverty, marginalization because you are of a minority race or gender or sexual orientation, failed relationships, thwarted ambitions, career ambitions beyond motherhood or not having career ambitions beyond motherhood. Any of these, or fill in the blank with your own, can be reasons we beat ourselves up, but should not be. This is precisely why self care is an act of political warfare. To do it you must reject the cultural messages that have told you that you are undeserving of care, for whatever reason. You take back the power to deem a person worthy or unworthy, and proclaim yourself worthy, just as you are.